Meanwhile, melt chocolate in microwave. Place semi-sweet chocolate chips in a microwave-safe bowl and microwave for 90 seconds at 70 percent power. 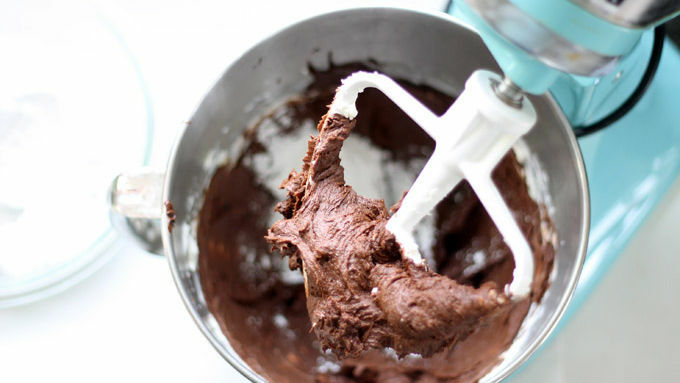 Stir and continue to microwave for 30-second, then 15-second, intervals until chocolate chips are almost all melted. Stir until all chips are melted and mixture is smooth. 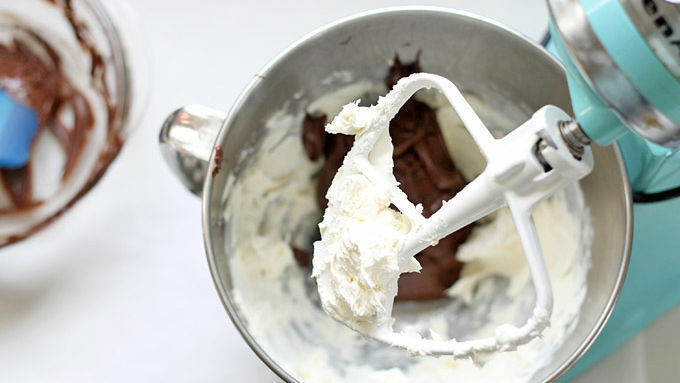 Scrape chocolate into the mixer and blend with cream cheese. Mix in peppermint extract. Gradually stir in confectioner’s sugar. Place whole bowl in the refrigerator for an hour. 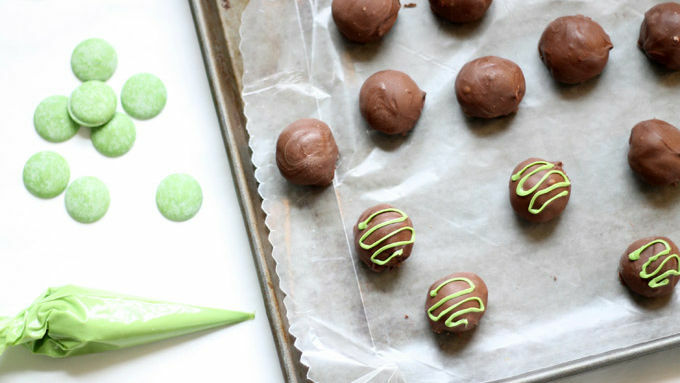 To add decoration, melt the green candy melts in the microwave as you did the chocolate. Pour into a disposable decorating bag (available at craft store) or a freezer zip-top bag. Snip the tip of the bag and pipe your designs. Let set about 30 minutes. 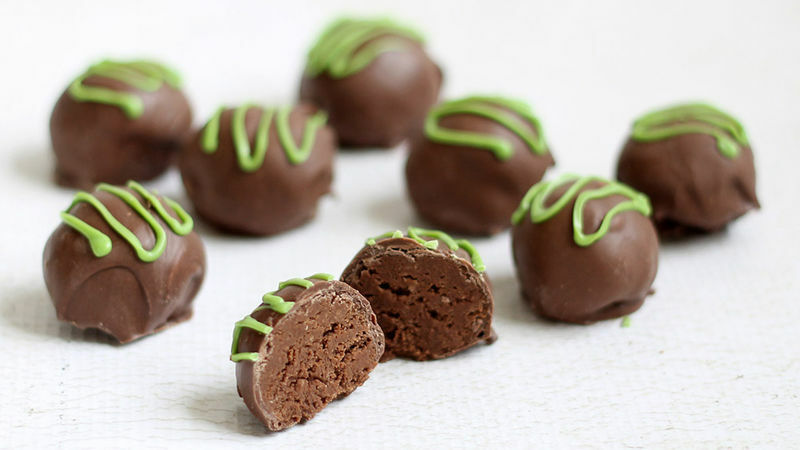 Chocolate mint truffles are utterly decadent and the best treat you can give. (Or keep for yourself!) These gems have creamy chocolate inside with just a hint of mint flavoring, balanced with the crunch of milk chocolate coating. 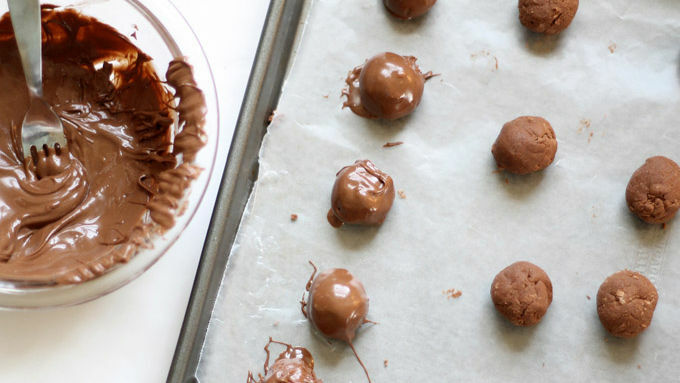 Traditional truffles are made with a ganache filling—a combination of melted chocolate and heavy cream. Here, I use melted chocolate with cream cheese and powdered sugar (which is easier and more forgiving) to mix up and roll into balls. The green decoration is optional, but I think it adds a little extra oomph. You’ll only need four ingredients for the filling: semi-sweet chocolate chips, powdered sugar, peppermint extract and cream cheese. 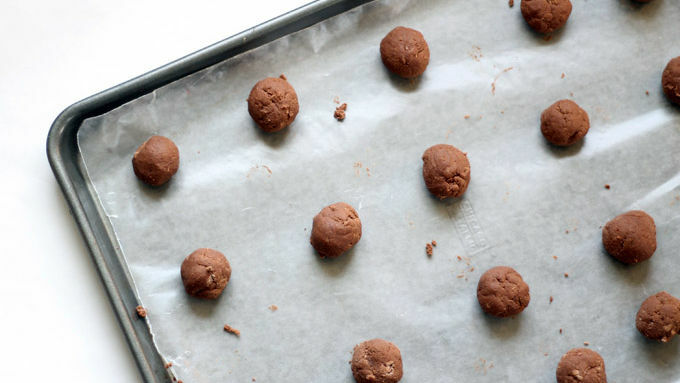 Let them set about 30 minutes and you have lovely chocolate mint truffles!